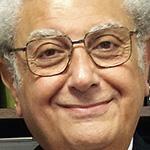 M. Cherif Bassiouni is a distinguished research professor of law emeritus at DePaul University College of Law and president emeritus of the law school's International Human Rights Law Institute. He also is president of the International Institute of Higher Studies in Criminal Sciences in Siracusa, Italy, and honorary president of the International Association of Penal Law in Paris, France. Bassiouni has served the United Nations in a number of capacities, including as co-chair of the Committee of Experts to draft the Convention on the Prevention and Suppression of Torture (1977); member, then chairman, of the Security Council's Commission to Investigate War Crimes in the Former Yugoslavia (1992-1994); vice-chairman of the General Assembly's Ad Hoc and Preparatory Committees on the Establishment of an International Criminal Court (1995 and 1998); chairman of the Drafting Committee of the 1998 Diplomatic Conference on the Establishment of an International Criminal Court; independent expert for the Commission on Human Rights on The Rights to Restitution, Compensation and Rehabilitation for Victims of Grave Violations of Human Rights and Fundamental Freedoms (1998-2000); and independent expert for the Commission on Human Rights on the Situation of Human Rights in Afghanistan (2004-2006). In 1999, Bassiouni was nominated for the Nobel Peace Prize for his work in the field of international criminal justice and for his contribution to the creation of the International Criminal Court. He has received the following medals: Medal Beccaria, Spain (2009); Knight of the Grand Cross (Cavaliere di Gran Croce), Italy (2006); Order of the Academic Palmes, Commander, France (2006); Grand Cross of the Order of Merit, Commander, Federal Republic of Germany (2003); Legion d'Honneur, Officer, France (2003); Order of Lincoln of Illinois, United States of America (2001); Grand Cross of the Order of Merit, Austria (1990); Order of Sciences (First Class), Egypt (1984); Order of Merit (Grand'Ufficiale), Italy (1977); and Order of Military Valor (First Class), Egypt (1956). He also has received numerous academic and civic awards, including the Special Award of the Council of Europe (1990); the Defender of Democracy Award, Parliamentarians for Global Action (1998); The Adlai Stevenson Award of the United Nations Association (1993); the Saint Vincent DePaul Humanitarian Award (2000); and the Silvia Sandano Humanitarian Jurist Award, Italy (2008). He has honorary Doctor of Law degrees from the University of Torino (Italy), Pau (France), National University (Ireland), Niagara University (USA), and a Doctorate of Humane Letters from Catholic Theological Union (USA). Bassiouni is the author of 32 and editor of 47 books, and the author of 241 articles on a wide range of legal issues, including international criminal law, comparative criminal law and international human rights law. His publications have been published in Arabic, Chinese, Farsi, French, Georgian, German, Hungarian, Italian, Russian and Spanish. Several of his publications have been cited by the International Court of Justice, the International Criminal Tribunal for the Former Yugoslavia (ICTY), the International Criminal Tribunal for Rwanda (ICTR), the U.S. Supreme Court, and a number of state supreme, U.S. appellate and federal district courts.